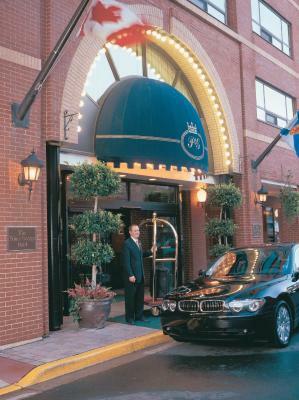 Lock in a great price for The Prince George Hotel – rated 9.1 by recent guests! Pool and hot tub were great! Nice features in the rooms and beds were very comfy. Comfortable room, great location, staff very accommodating. We stayed at the Prince George so we could spend Christmas with our son and his girlfriend who are now living in Halifax. 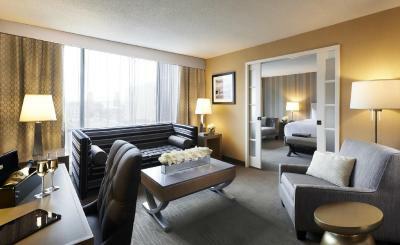 Upon checking in, we were amazed to find out that a staff member had upgraded our rooms to suites. Both suites (#427 and #440) were stunning. 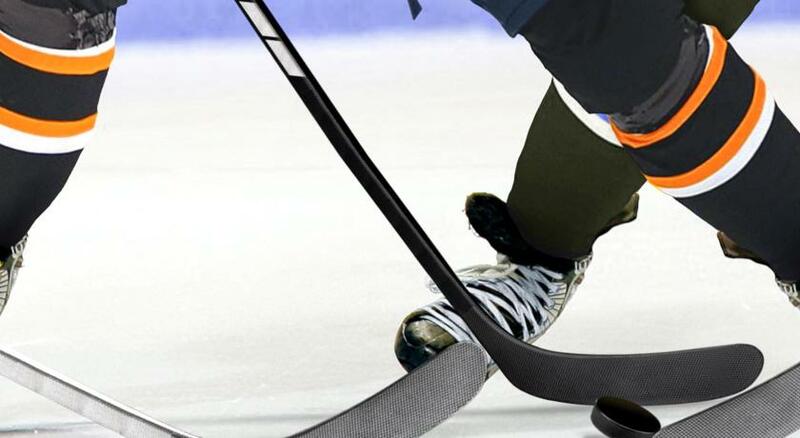 It is obvious that a lot of thought went into making them as comfortable and cozy as possible. The hotel lobby area itself is cheery and welcoming with its sprawling couches and colourful cushions. 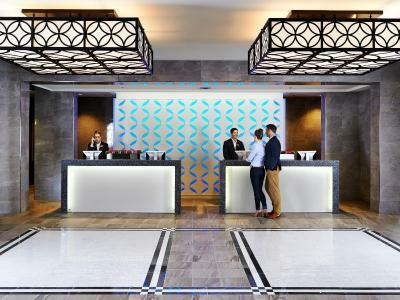 The employees were friendly and helpful throughout our stay. The breakfast buffet was plentiful and delicious (especially the eggs benedict). This is a Christmas we will remember for a long time. Thanks to the staff and management at the Prince George Hotel for these magical memories. We will be back! Staff was incredibly friendly, accommodating and were able to fulfill a special request that made our night. Bartender went above and beyond our expectations. Hot tub, pool and weight room were excellent and well maintained. Room was clean and comfortable. Sixth floor lounge was well stocked at all hours. Hotel was a short walking distance to a large number of restaurants and bars, plus the arena. Great location, within walking distance of many interesting attractions. Room was very spacious and had a nice view. Great bathroom. Would stay there again. Breakfast buffet very good and reasonably priced. Bed was very, very comfortable. Location can’t be beat. The location was perfect for our visit. 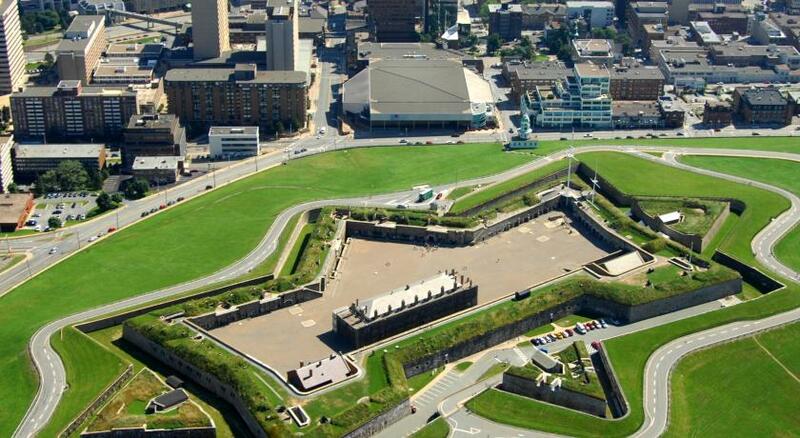 Easy walking distance to the Citadel, good restaurants and the water front. The room was spacious and bed most comfortable. Hotel employees are really friendly. Breakfast was delicious every day. Location was perfect. 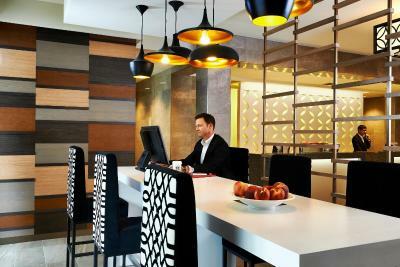 The Prince George Hotel This rating is a reflection of how the property compares to the industry standard when it comes to price, facilities and services available. It's based on a self-evaluation by the property. Use this rating to help choose your stay! 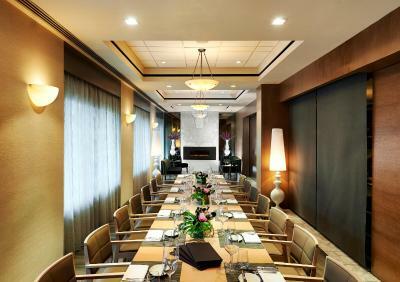 One of our top picks in Halifax.Set in the heart of downtown Halifax, Nova Scotia, only 700 feet from the Scotiabank Center, this hotel offers luxurious guestrooms, first-rate services and an award-wining restaurant. 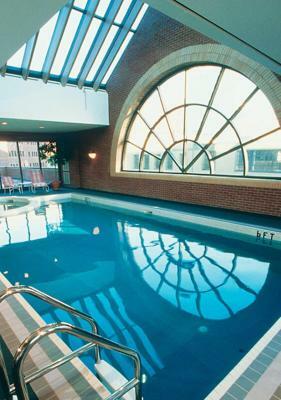 The Prince George Hotel features an indoor pool and fitness center. 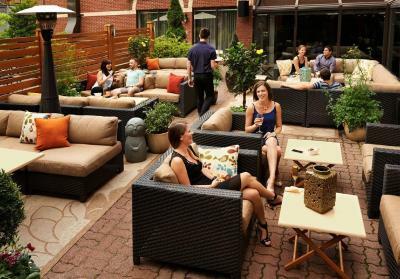 After an intense workout, guests can relax on one of the hotel's garden patios, where refreshments and meals can be delivered for convenience and relaxation. 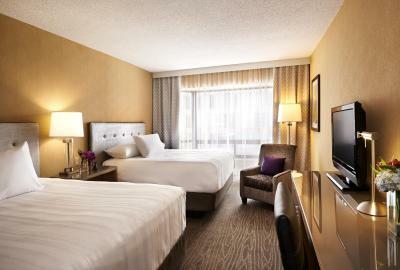 Guestrooms at the Prince George boast amenities such as pillow-top mattresses, free wireless internet access. Guests will also enjoy in-room flat-screen TVs with pay-per-view movies and video games. Gio, The Prince George's 4-diamond restaurant, is open for lunch Monday through Friday and dinner Monday through Saturday. 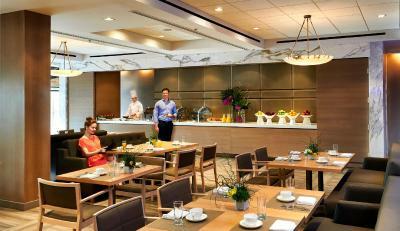 The Terrace is open daily for breakfast and room service is available. A bar and Starbucks coffee kiosk are both located on the lobby level. 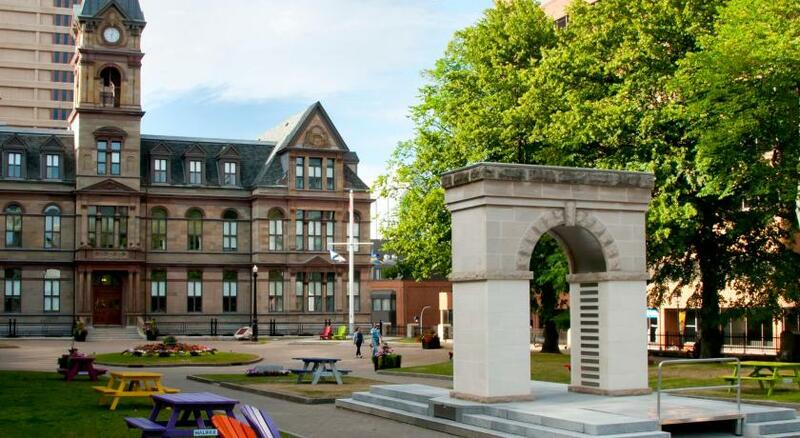 Downtown Halifax is a great choice for travelers interested in pubs, restaurants and food. 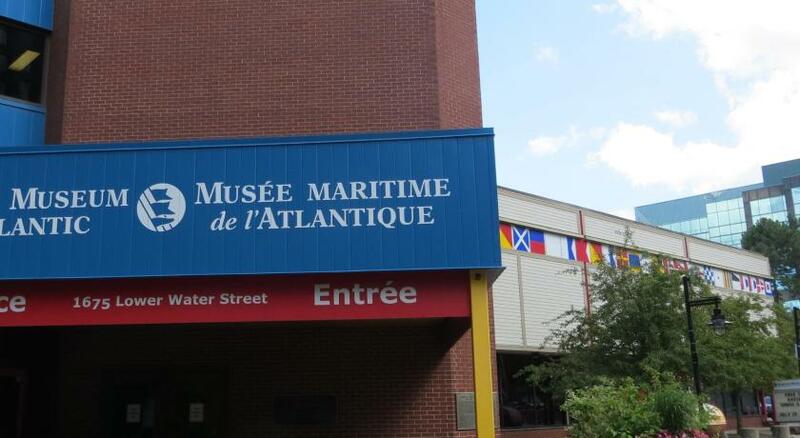 This is our guests' favorite part of Halifax, according to independent reviews. This property also has one of the top-rated locations in Halifax! Guests are happier about it compared to other properties in the area. When would you like to stay at The Prince George Hotel? This room features HDTV and free WiFi. Additional amenities include duvets with fine linens, a generous workspace, complimentary newspaper and coffee with fresh cream. Furniture may vary from room to room. 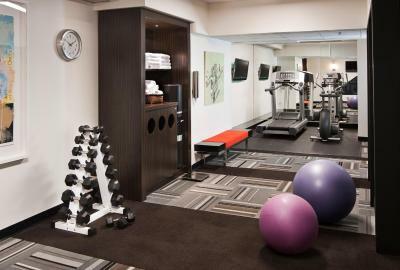 This room is located on the top floor and includes access to the Executive Lounge. Cable TV, a fridge, and tea and coffee-making facilities are included. 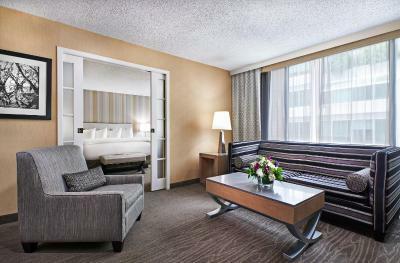 This suite has a separate seating area with a cable TV and a sofa bed. A large work desk and free Wi-Fi are included. 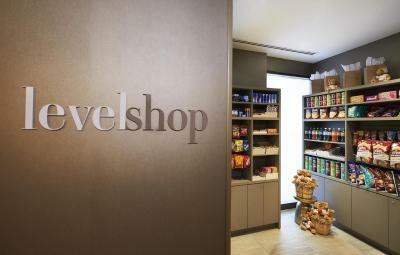 High-end coffee making facilities and a bar fridge are provided. Maximum occupancy is 4 guests. This room features 2 queen beds, air conditioning, a coffee machine and a daily newspaper. Free Wi-Fi and a flat-screen cable TV are provided. Maximum occupancy is 4 guests (see Hotel Policies). 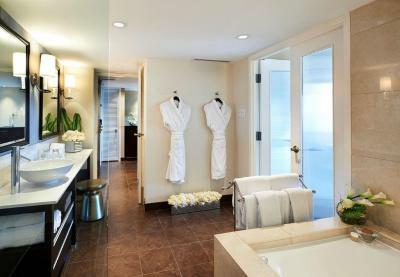 A 2 person spa tub, bathrobes and a rain shower are featured in this suite. A separate living area and 2 flat-screen cable TV are included. Free Wi-Fi is provided. 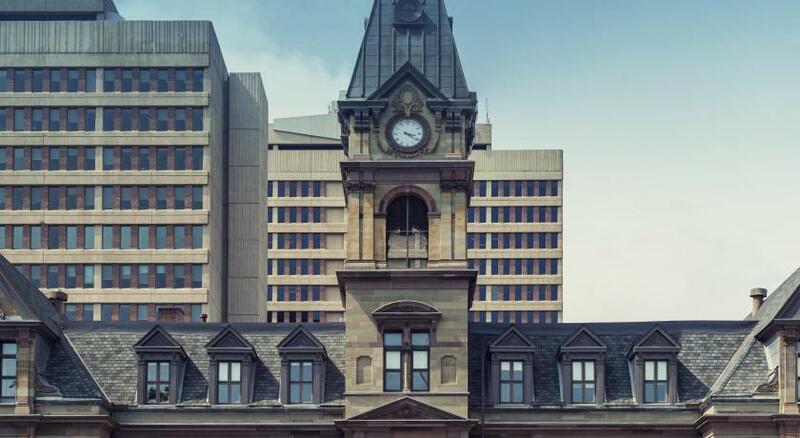 Welcome to the Prince George, a world class hotel in the heart of Halifax. From the moment you arrive to the time you check out, you'll be spoiled with a distinguished level of service that fits Four Diamond standards. 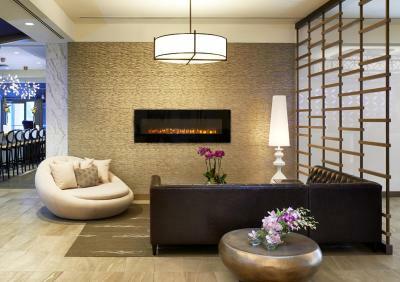 While our finest attribute is the personalized service you'll receive, offering luxury accommodations is what we do best, so we’re confident you’ll find our 200+ refined (pet friendly) guestrooms & suites to be very accommodating. 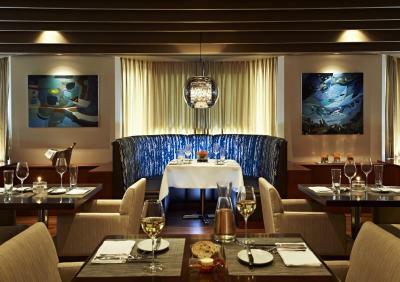 Our award-winning culinary team offers delicious creations. 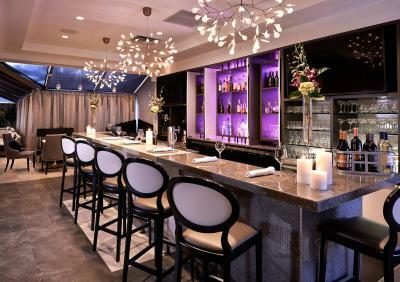 Embark on a culinary adventure at Gio Restaurant or enjoy a perfectly mixed cocktail & a light bite in Levelbar, our relaxed Lobby Bar. 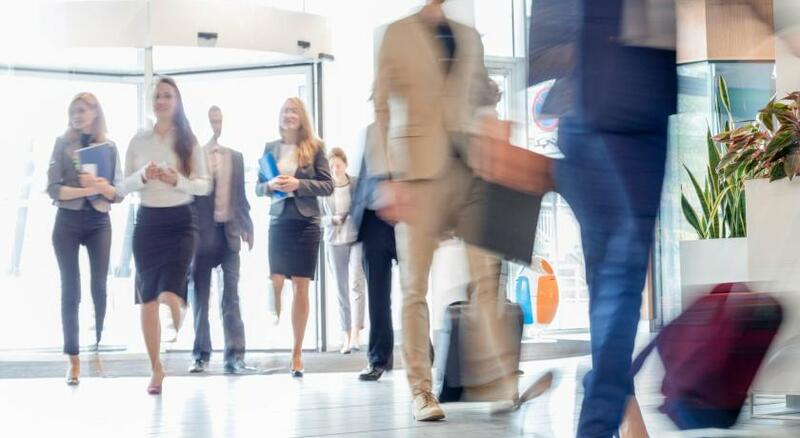 Take advantage of amenities like our business centre, complimentary Wi-Fi, our indoor heated pool, whirlpool, sauna & fitness centre, underground parkade, and the downtown Halifax Link, a convenient network of indoor pedways that link together various venues & buildings in downtown Halifax. 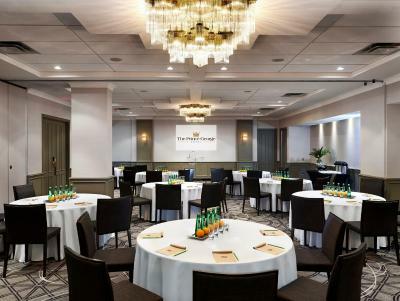 If you're looking to hold a corporate function, meeting or social gathering, our 6,800 square feet of meeting space is perfect for any event. 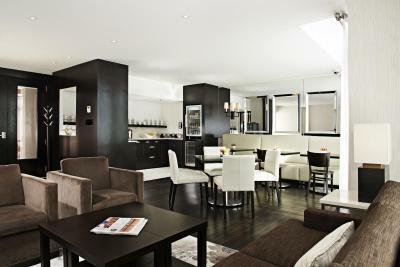 The Prince George Hotel- Uncompromised style. Always at your service. Treat yourself to a little luxury. You deserve it. Hotel surroundings – This neighborhood is a great choice for travelers interested in pubs, restaurants and food – Check location Excellent location – show map Guests loved walking around the neighborhood! House Rules The Prince George Hotel takes special requests – add in the next step! Any additional older children or adults are charged CAD 20 per person per night when using existing beds. One older child or adult is charged CAD 20 per night in an extra bed. 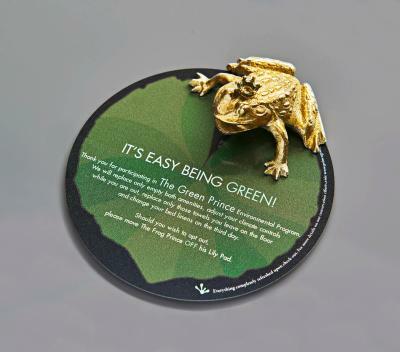 The Prince George Hotel accepts these cards and reserves the right to temporarily hold an amount prior to arrival. The pillows were very lumpy and needs to be replaced. Overall , nice place. Perfect location !!! We found the restaurant (Gio) to be EXTREMELY expensive for the quality of food. Definitely would never recommend it. Much better food in Halifax for less money. The hotel itself was clean, staff was very friendly. Good atmosphere, clean room, great location. Fantastic restaurant. I found the TV selection very poor; no guide for the cable television and the price of a movie is astronomical! 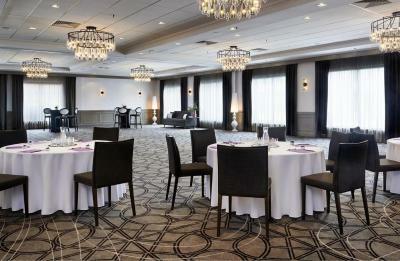 The location is excellent if wanting to explore the downtown and if attending an event at the Scotiabank Centre. Very accommodated - I booked online and made a note that we where celebrating my partner birthday and they had a card and fruit plate waiting for her. The restaurant Gio on main level was unbelievably good. We were given a room that hadn't been turned over yet. The hotel was very busy and had some late check outs. When we got to our room the bed hadn't been made and the bathroom wasn't clean. They quickly had the staff take care of it but you would think such a reputable hotel would have ensured this wouldn't happen. 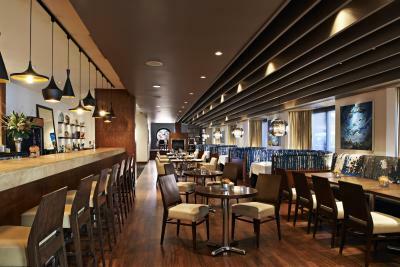 One of the best overall hotels that I've stayed at, any time I am in Halifax I would not hesitate to stay again. Great staff, beautiful hotel and rooms. Exceptionally clean.. everywhere. Definitely on my top 5 list of hotels I've stayed at throughout Canada and the US, even ones with a much higher price point.